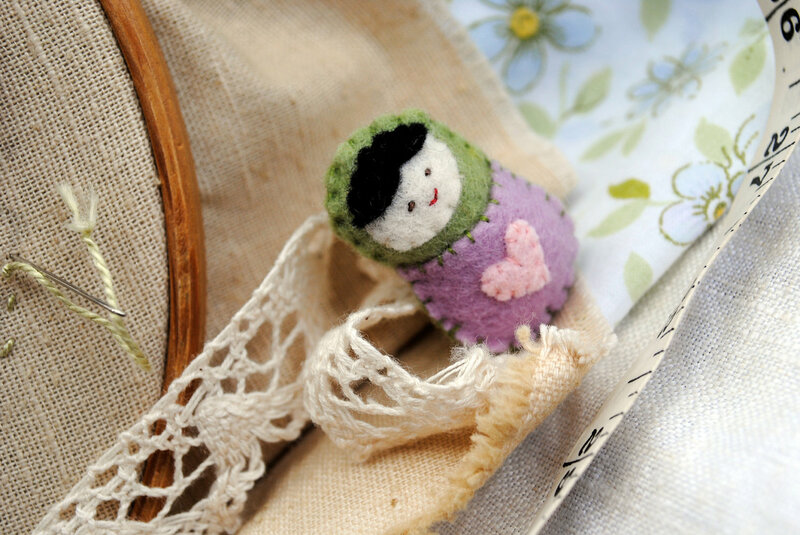 The perfectly unique touch – an adorable tiny babushka doll brooch. 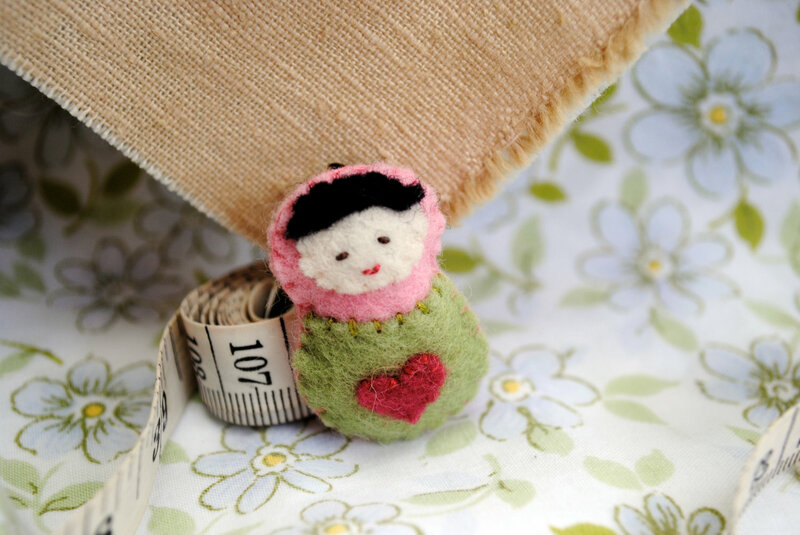 Delicate hand embroidered doll made with hand-dyed 100% wool felt (not acrylic) in beautifully subtle colours with a tiny love heart on the front. 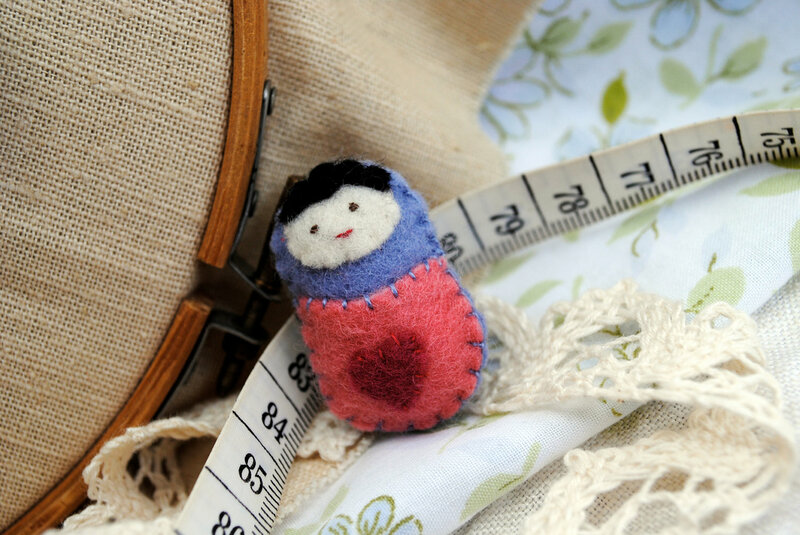 The doll is stitched onto an antique copper pin. 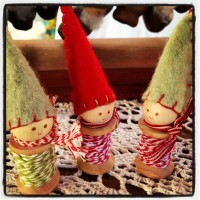 Please specify your colour preference from those pictured or if you prefer we will send you a surprise. Do you have a special colour choice? 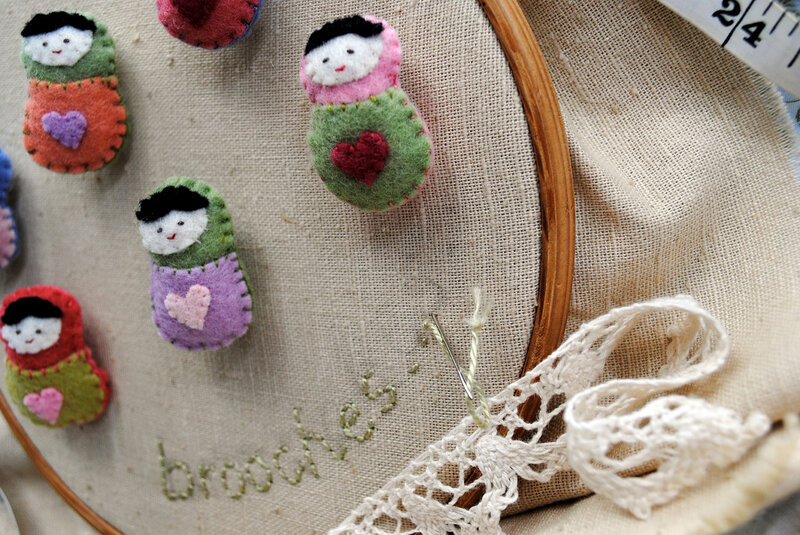 Just contact us – we love custom orders. 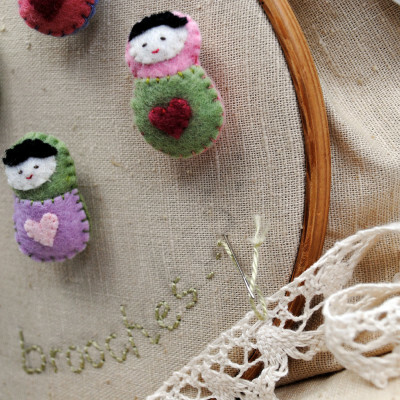 Being handmade – every brooch is individual and may vary slightly from those pictured.